Couples who are engaging in Swansea wedding reception planning for spring or summer seasons have a lot of choices available with regard to color palettes. 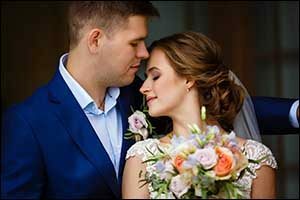 The trendy spring and summer wedding colors for 2019 provide a lot of great opportunities for various themes, local blooms, and easy-to-find accessories and attire options for the wedding party. Once you secure the South Coast reception hall where you will be hosting your reception, you can take a tour to make sure that your colors will work within that space. While most ceremony venues are neutral, it pays to double-check the banquet rooms in Swansea to make sure that your bright and airy spring and summer hues won’t fade into the background. When you host your wedding at Venus de Milo, our team will work with you to provide you with the best opportunities for decorating to match with your seasonal colors or theme. We are proud to be the premier wedding venue in Southeastern Massachusetts, hosting wedding ceremonies and receptions for couples from the Greater Boston area, as well as Providence, Cape Cod, and throughout the New England region. Work with your wedding planner, florist, decorations specialist, and designer to incorporate your favorite colors into your wedding palette. Play around with the colors, mix and match to create your own signature scheme. Integrate them into your bouquet, wedding party attire, cakes and desserts, decorations, favors, invitations, and anywhere else appropriate. Work with your South Coast reception hall for more ideas on how you can include your colors in linens, chair decorations, special lighting effects, and other unique ways. For couples in the northeastern region, planning a summer wedding can be overwhelming. Still the “it” time of year to host a wedding, it seems as though everyone is vying for a spot on the calendar to say their vows and celebrate at the local banquet rooms in Swansea. For those lucky enough to snag a spot, Swansea wedding reception planning can be a lot of work, ensuring that there are back-up options for outdoor ceremonies and refreshing opportunities to keep guests cool on hot summer days. A touch of beautiful color can brighten just about any space and transport guests directly into your theme. Get everyone into the summer mood with these beautiful colors for summer. Getting great photos in the summer can be difficult. Make sure to work closely with your photographer at the South Coast reception hall to ensure you schedule pictures during the “golden hour” at sunset to capture the best light. Discuss your spring and summer wedding colors with your photographer, so they can plan on lighting and background ideas that will highlight your color scheme. If you are still looking for a premier wedding venue in Southeastern Massachusetts, make sure to schedule a tour at the world-famous Venus de Milo. We have a wide array of menu options, custom wedding services, and other opportunities designed to help you host an unforgettable wedding celebration. Whether you host your ceremony here or just arrive at our South Coast reception hall for the dinner and after-party, our team of highly trained and experienced event planners can help you select everything you need to have a great time. Give us a call at 508-678-3901 to speak with one of our team members or to inquire about availability for your desired wedding dates. We can help you choose a time that is best for you, whether you want to host a daytime or evening celebration. 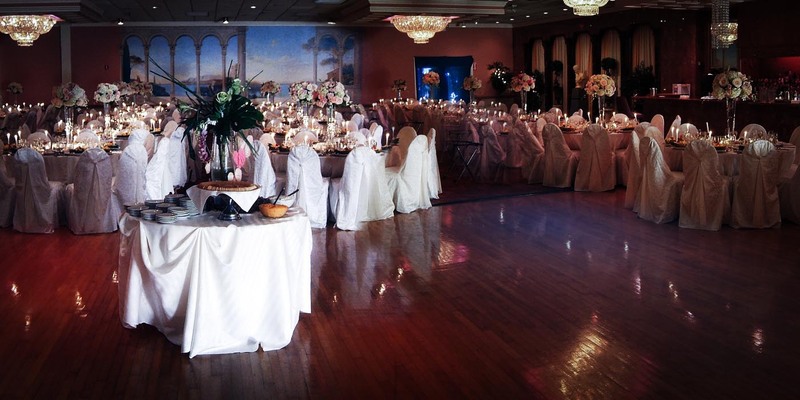 Our elegant ballrooms are the perfect place to host your wedding reception. Contact our team right away to schedule a tour!